If you have a newborn baby, you will know how priceless it is to see your little one sleep peacefully. Many babies have trouble falling and staying asleep, so many parents have tried products such as white noise sound machines to aid them in the process. A frequently-cited 1990 study has already proven that this noise-masking and sleep-inducing invention is really worth buying. Of the 40 newborns that were studied, 80 percent were able to sleep by merely listening to white noise products in just 5 minutes. If you’re looking for the best baby white noise sound machine, you’ve come to the right page. I’ve rounded up my top seven picks to help you and your precious little one get to sleep. What is a White Noise? If reliability or credibility is an issue, you need not worry when it’s from Marpac. The firm has set the standard for producing quality white noise machines . And the Marpac Dohm-DS All Natural Sound Machine is one of the top-rated items ever offered by them. 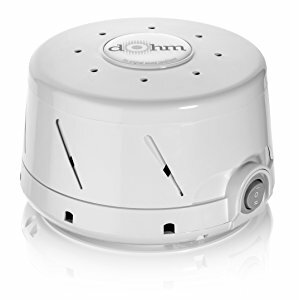 Developed over five decades ago, Dohm is the first and original parents’ best friend when it comes to lulling babies to sleep. What's Great About It: DS All-Natural is really easy and convenient to use. Just plug it in, turn it on and adjust the pitch and volume the way you want it. Another huge plus is its one-year factory warranty. Marpac is also popular in this circle because of its exceptional customer service. Equipped with state-of-the-art technology, the LectroFan Hi-Fi White Noise Machine is intricately designed to suit your ideal sleeping environment. 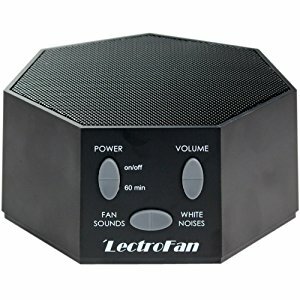 If you want to drown out unwanted sounds, this product offers you two ways on how to do so: by using its fan, or by listening to white noise. 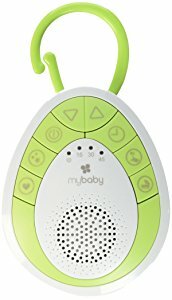 Combined, these options give you 20 unique sounds and non-repeating noise variations that will pacify your newborn though the night. You can also adjust the volume based on your baby’s needs with its multi-level volume control. This prevents your baby from hearing traffic noise, a barking dog, or older siblings’ evening chats. What's Great About It: This machine is really lightweight and compact. It fits well with the LectroFan Travel Case, so you can take it anywhere you might need it. Let your child sleep better and wake up to a greater morning with the Big Red Rooster BRRC107 Sound Machine. 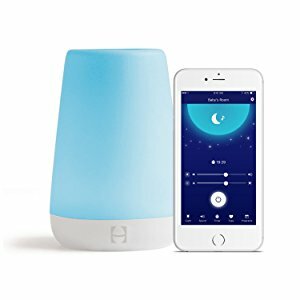 It offers six natural sounds including summer night, white noise, rain, and ocean, all of which can help you reach that sleep-environment goal for your baby. You can also adjust the volume, depending on which level you think your newborn can be most comfortable with. What's Great About It: Its sleek design makes it a travel-friendly, sleep-inducing gadget. Next time you take your baby with you on a holiday, make sure you have this item in your bag. If you are a busy mom, MyBaby SoundSpa On-the-Go Sound Machine is your perfect choice. This item is equipped with four soothing sounds – white noise, lullaby, ocean and heartbeat. The last one is used to mimic that of a mom’s, the one that your baby got used to hearing while he or she was still in the womb, and is especially effective in enhancing your newborn’s sleep. MyBaby SoundSpa is also lightweight, so it can easily blend in your room, or in any other places. And just in case you might need it, this product also comes with a built-in stand for stationary use. What's Great About It: As it name implies, this sound machine is indeed on-the-go. Its integrated clip can be attached to cribs, strollers, car seats and diaper bags. It can also be run with three triple-A batteries. Hatch Baby Rest is a modern and personalized light-and-sound machine that every parent would love to have. With its customizable features, you can program a setting depending on what you need. If you want to enhance your baby’s sleep, you can choose the sounds and the corresponding volume that will play in the background. If you are to simplify nighttime diaper changes, you can use a gentle night lighting setting coupled with a white noise to help your little one be lulled to sleep once they are clean and fresh. What's Great About It: A major plus point for this innovative machine is its accessibility, as you can change brightness, color, sound and volume right at the tip of your fingers via its smartphone app. 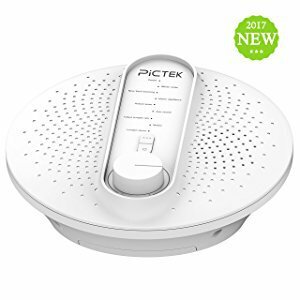 If you are in need of a lasting sound machine for your dear newborn, you may want to have Pictek’s very own take on this sleep-enhancing gadget. This product is designed to have its sound on all-night long, though there are sleep-timer options (30 or 60 minutes). Pictek is also equipped with 24 high-quality natural sounds, including white noise, “New York morning”, and “Hawaii waves”, plus an adjustable volume control. What's Great About It: The product is non-toxic, odor-free, and fire-resistant. You are assured that it is safe to use to give you and your baby a stress-free evening slumber. 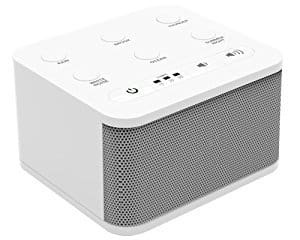 Not only is this product a white noise sound machine, it is also a Bluetooth speaker. This might suit your preference if your baby has a type of music they already love. Just connect this WavHello item to any of your Bluetooth-enabled devices. What's Great About It: It comes with a compatible VoiceShare mobile app. Through this, you can now record and share voice messages with your baby and your loved ones. White noise is a kind of noise that is essentially static; it evenly comes out from across all frequencies our ears can hear. Experts say that noise is not the culprit behind an uncomfortable sleep, it’s the abrupt change in noise. White noise machines are capable of blocking out these inconsistencies, making them a great sleep buddy for you and your noise-sensitive newborn. More in Baby Gear: Which is the Best Baby Scale? For any parent, your baby’s need to have a restful sleep is a top priority. However, with all the noises that can be present in or near your home, a sweet slumber can sometimes remain just as a dream. The main goal of a white noise sound machine is to aid both your own and your child’s sleep. While it blocks out disturbing noises, you can also choose to play pleasant sounds ranging from a calming sea breeze to relaxing Mozart pieces. Experts claim that this device works because it helps keep your baby’s brain busy while asleep. As mentioned earlier, noise is always there; it is the sudden change in the frequencies of these noises that wakes your child. With the consistent sound that this machine produces, your brain becomes more focused to hearing this particular sound alone, drowning out all other noises that could come from anywhere else. A 2014 study published by the American Academy of Pediatrics reveals that out of the 14 white noise machines that were put to test, all were said to have exceeded that recommended noise level, which is 50 decibels. This alarming issue has raised concerns about hearing damages, as well as delayed language and sleep development. According to the report, this can be avoided by putting the machine at least 7 feet away from your baby. You should also reduce the volume level. Some parents also have concerns regarding white noise machine dependency. If a situation arises wherein the machine won’t be available for playing, babies might find themselves having trouble sleeping. As they are so used to hearing the machine’s sound, they are probably looking for the same particular sound. An old radio. You can use this as an alternative by turning up the dial until it is stuck between two radio frequencies. This position gives you more or less the same static noise. A fan. The ideal sound-masking solution can be found right at the whirr of a desk or pedestal fan. Be careful to not place the fan where it directly blows on your child. White noise mp3 files. Load it up on your computer or on your mobile phone’s music library, and play it as a background while your little one sleeps. A washing machine. Though an unconventional choice, you can turn this machine on for an empty cycle to help usher your baby to a gentle sleep. 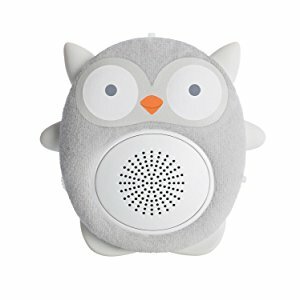 These alternatives might help, but the majority of parents still purchase baby white noise sound machines due to their efficiency and well-proven capabilities. Sleep is important for you and your baby. On average, newborns need to sleep for around 18 hours a day, while 1- to 2-month olds need five straight hours; three to six-month olds require at least 8 hours plus short naps during the day, and six to 12-month olds have to have 14 hours of sleep in total. If your child is lacking sleep, you might encounter them getting more hyper, agitated or disagreeable. Avoid dealing with this behavior by getting some help from some of the best baby white noise sound machines available on the market. This brilliant invention is the best friend a parent can have. It can mask noises that wake your child, and helps enhance both of your sleep schedules.